We often come across places that transport us to a different part of the world. One such bistro is Level 5 Bistro & Bar, which is located above New Kalinga Veg in Erandwane. It's menu has a European vibe and the good is good enough to pamper our palette. A brand new entity of Takshshila Group of Hotels, Level 5 Bistro & Bar is all about world cuisine. We visited the place and absolutely loved the vibe it emitted. The decor is meticulously done-up and gives us a feel of an age-old English pub with wooden interiors and dim lights. Everywhere you can see posters of different destinations of the world such as Rome, Paris, Morocco, London, Berlin etc. The place encourages all the gourmands to dig into different types of delicacies and constantly experiments with the menu. The cocktail menu has been designed by Shatbhi Basu, India's first female bar-tender. And the food menu, by celebrity-chef Amit Puri. There's no doubt that their food and beverage game is totally on point. What we loved the most was the eclectic menu. They are the only ones in the city to serve marinated feta jar! Yes, this dish is a must-try apart from the MYO lettuce wraps, koliwada style burgers and curried potato peels. Sea-food lovers, dig into their specials: crab-benedict, lobster salad roll and chili octopus. 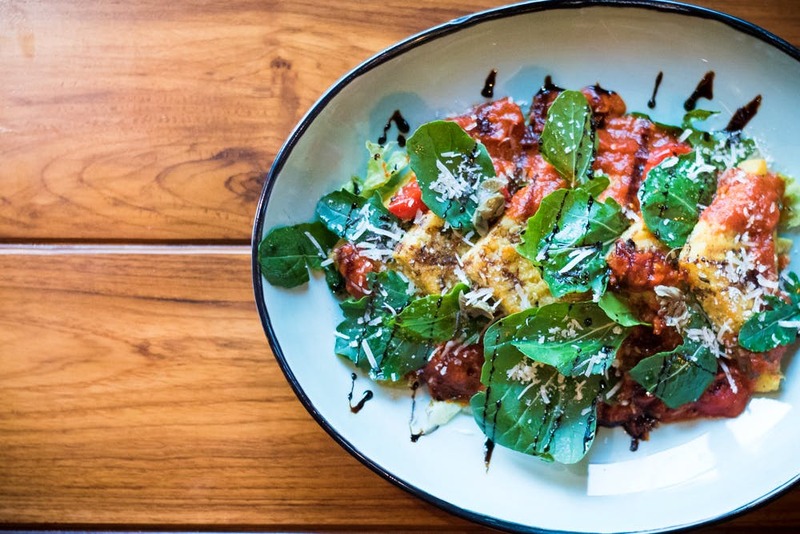 We tried the grilled polenta which had the goodness of ragu and greens, topped with herbs and generous shavings of parmesan. Then came their in-house specialty- pizza with sundried veggies and flourless lasagna. They bake everything in-house to ensure freshness. You can also choose between a variety of desserts. For drinks, try their filter coffee. Basu has incorporated flavours like hazelnut and caramel in the good old South Indian coffee. Our hazelnut coffee was worth every sip. Apart from that, they have an elaborate cocktail menu. We had the mango and kiwi iced drink that froze us to Nirvana! The next time you are looking for a place to chill and enjoy good food or even a cozy place for a date, you know where to head.